As you start getting reacquainted with the sun, rejoin nature this weekend and take your headphones with you. With a touching album from a skillful singer-songwriter, an album stripped down to nothing but piano accompaniment and hard rock Aussies in the mix, you’re all set. You’ve got nothing to lose… except maybe your previously stale playlist. Luke Sital-Singh expresses the depth of his emotions and musical talent with A Golden State, out now via Raygun Records. Each song conveys a story of love, sorrow and loneliness which, when paired with the effortless and gentle sound of Luke’s voice, will leave you speechless. 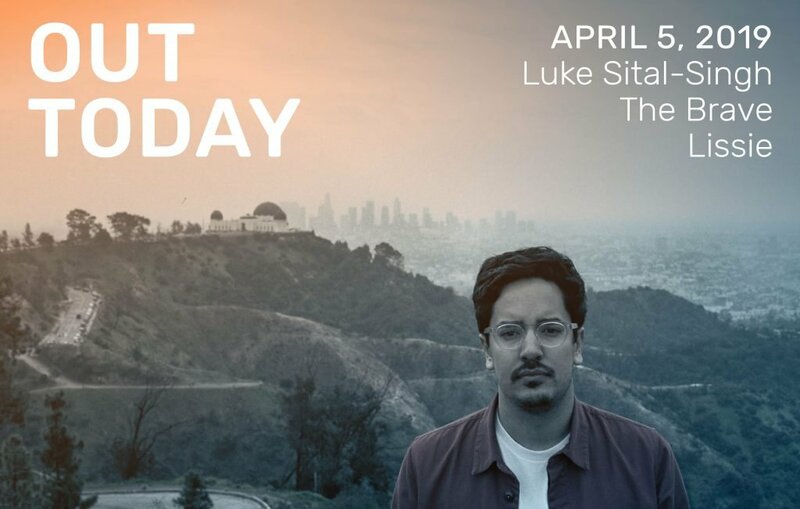 Amidst his TED talk Luke explains, “These are the songs I just never tire of hearing and I never tire of writing, because they make me feel less alone.” Listen to A Golden State to hear the musical heartbeat of Luke Sital-Singh in his poetic diary. Australian rock group The Brave release their much anticipated new album Aura from UNFD. The album features single “Ethereal” which was awarded Best Heavy Song at the Queensland Music Awards last year. The second album from The Brave and the first full length in over three years, lead vocalist Nate Toussaint tells Hysteria Mag, “Lyrically, I’d always keep to myself but for this one we all started to work more as a unit, I think that showed with what we were getting out of the songs we wrote.” Toussaint describes inspiration dating back to 90’s/ early 2000’s rock and pop. We certainly hear the inspo in “Technicolor,” below. The band sold out their Sydney show on their Technicolor tour, and will be playing their hometown of Brisbane on Saturday night. Take a listen to Aura and join a crowd near you. See you next week and don’t forget to have an awesome, music-filled weekend.